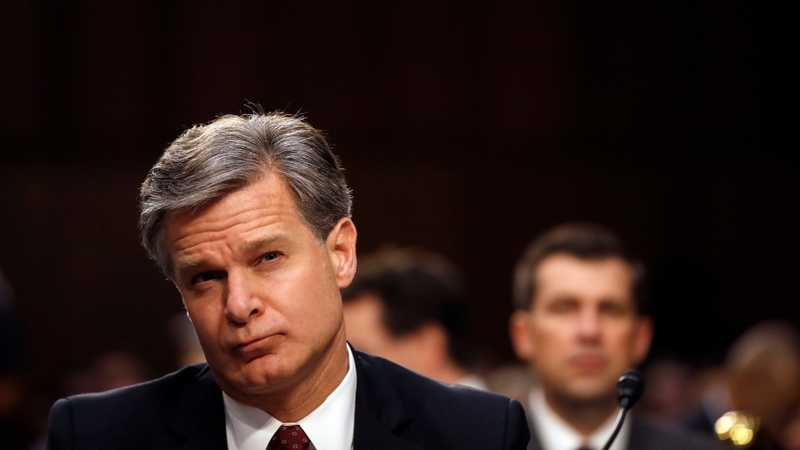 WASHINGTON -- The FBI is determined to not repeat any of the mistakes identified in a harshly critical watchdog report on the handling of the Hillary Clinton email investigation, Director Chris Wray said Monday at a congressional hearing at which he repeatedly sought to distance himself from his predecessor. Republicans, increasingly skeptical of special counsel Robert Mueller's investigation into potential co-ordination between Russia and Trump's Republican presidential campaign, said Monday they weren't convinced by the report's conclusion that the decision to spare Clinton from criminal charges was free from bias, or by reassurances that the problems were limited to just a handful of employees. Trump himself had eagerly awaited the inspector general's report in hopes that criticism of Comey and the FBI could discredit Mueller's investigation. Asked whether the office was still investigating improper leaks, including to Trump lawyer Rudy Giuliani -- who claimed to know in advance about damaging revelations against Clinton -- Horowitz said, "As we note in the report, our investigative work's still ongoing."